Do you need to be refreshed? Sunday evenings may be just the thing for you then. 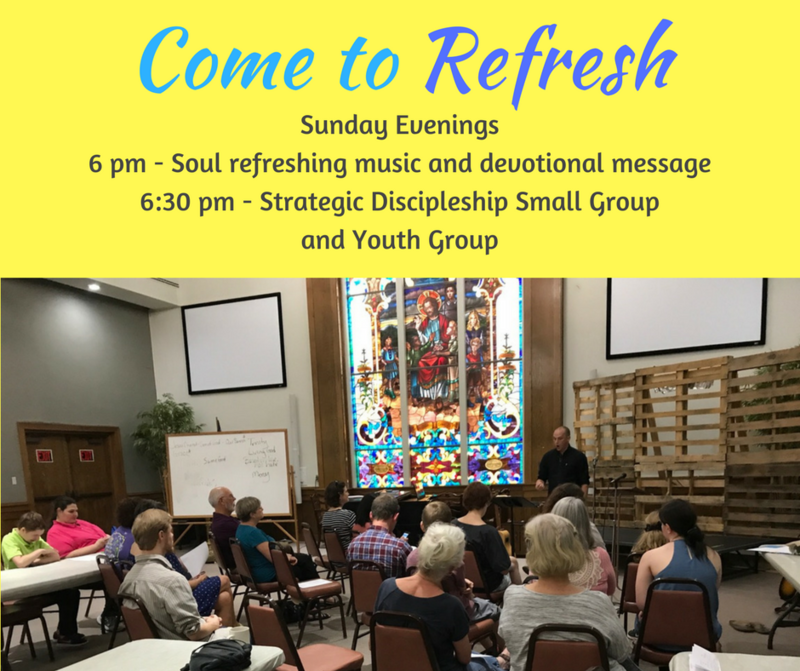 We gather in the Fellowship Hall at 6pm every Sunday evening for soul refreshing singing followed by a brief devotional message. The presenter and music varies, but has a contemporary and casual feel. At 6:30 pm, we separate into groups for study and fellowship. The children and youth have special program and the adults study discipleship. Questions call the church office, 870-774-6453 or email us, office@firstprestexarkana.org.